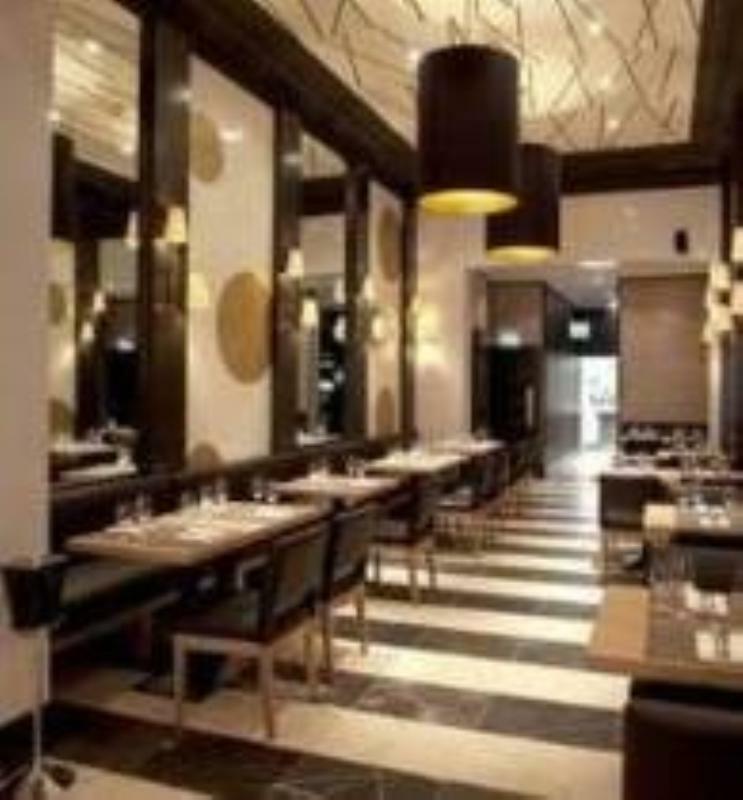 The Honours is Michelin starred chef Martin Wishart's Edinburgh brasserie located in Edinburgh's New Town, a short stroll from the city's world-famous Princes Street. The smart contemporary interior has been developed by Ian Smith Design, who has been the designer for all of Wishart's restaurant ventures. The brasserie takes its name from the Scottish Crown Jewels uncovered by Sir Walter Scott known as The Honours of Scotland, as well as a rare 18th century book called The Honours of the Table. Rikki Preston took on the role of Executive Chef in January 2017 having worked for Martin for over 14 years at Restaurant Martin Wishart at the Shore. Native ingredients are carefully sourced from artisan producers and suppliers that are well known to them, for the varied seasonal menu of traditional French dishes. Typical starters that feature are corn chowder served with croutons and parmesan or Swiss cheese soufflé with spinach and béchamal sauce. Main courses take in veal sweetbreads roasted in buckwheat and bayleaf, or maybe a pavé rump steak from the josper grill with a bérnaise or red wine sauce. To finish there's a choice of ice cream sundaes or a traditional apple tart tatin might take your fancy. There is a concise global wine list, most of which is available by the glass together with an impressive range of classic cocktails. tomatoes, Béarnaise or red wine sauce.